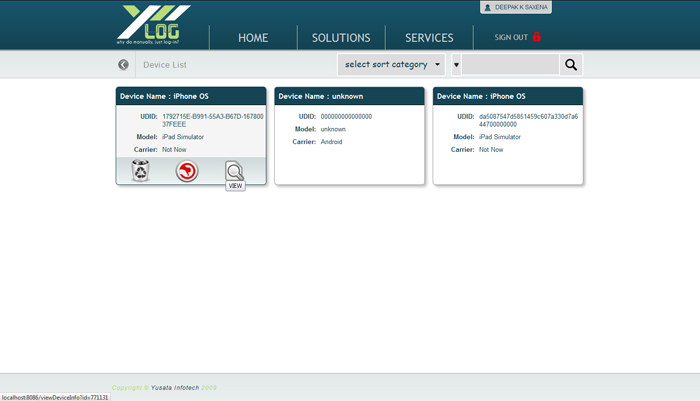 YLogApp is a portal for maintaining daily driver log detail for dispatches. It contains detail about all drivers and vehicle detail working for a particular company. If any rules is violated than portal show alert for that rule. • Driver does not need to insert any info about log manually. All log operation will be maintained automatically. 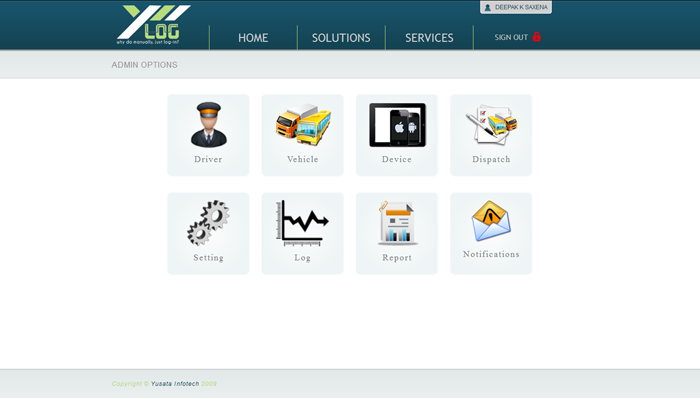 • Administrator can easily add, update and remove any driver and vehicle detail. • Driver can register any device as Tablet, iPad, iPhone etc. • Driver can login with unique ID and password and can see daily log detail of specific date. • Log records can be shown both graphical and tabular format. • We can check the current location of vehicle on map connected with GPS device. • Admin can check how many devices are currently working and can check authorization of any device. • Admin can also authorize that which device is map with driver. • Admin can create future dispatches. • There are two types of log - driver log and vehicle log. 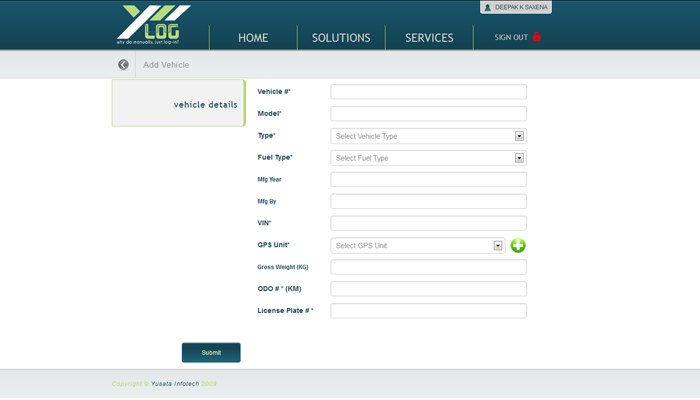 Vehicle log will be generated automatically time set by administrator and driver log will be generated when driver sitting is changed. • Admin and driver set profile according to their need. • Admin can update his company profile. • All new notification is shown to user. 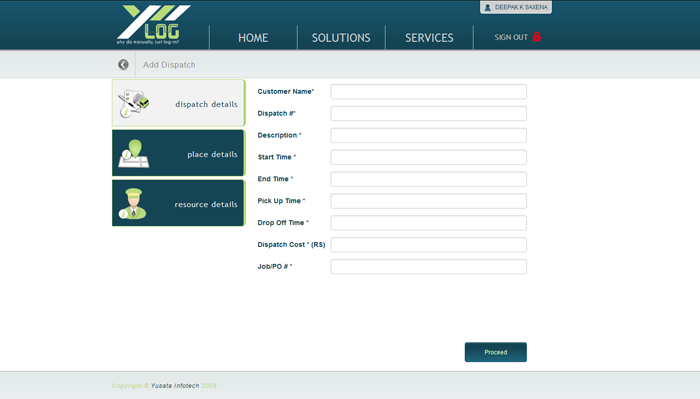 Admin can create new dispatch an fill details. 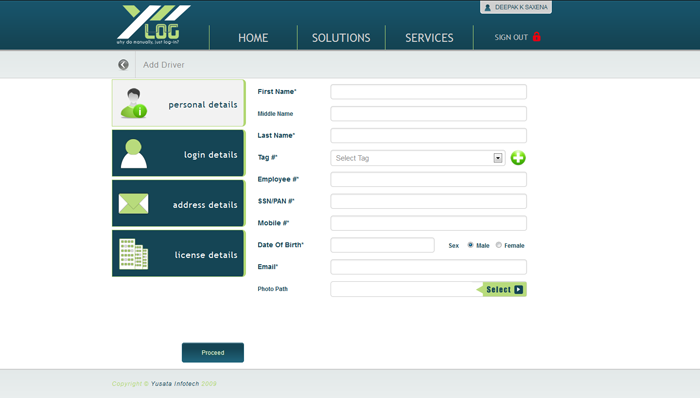 Admin can view registered driver by filling its perosnal, login, address and license details. 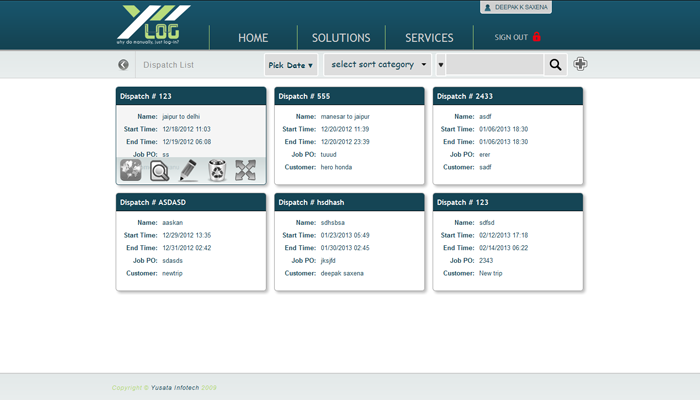 Admin can view all the dispatched trips with details. 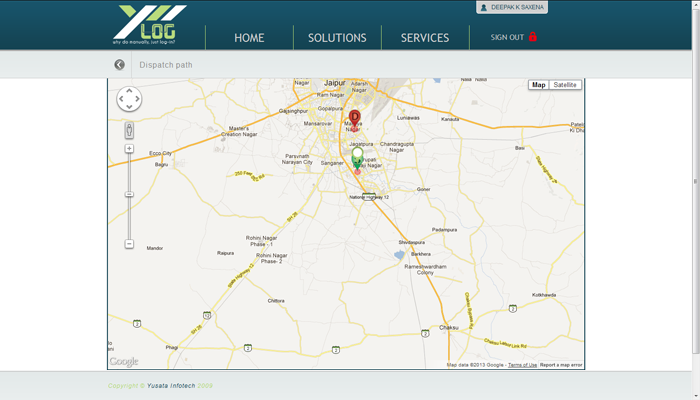 Admin can view dispatch path on map with current position of vehicle. 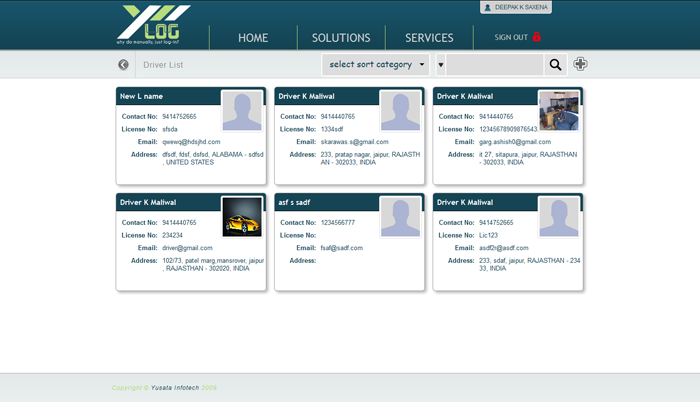 Admin can view registerd drivers and their details in a list. 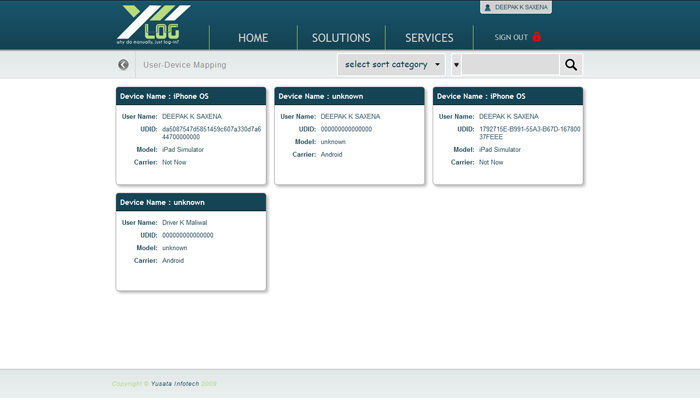 User device mapping shows all the device registered with the user in a list view with some deatils. 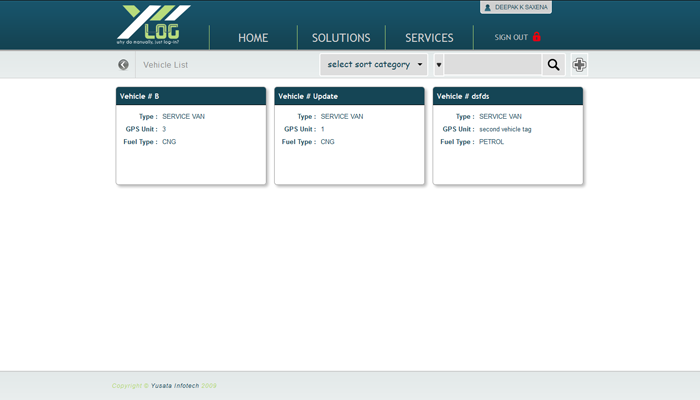 Admin can view all registered vehicle in a list with vehicle details.